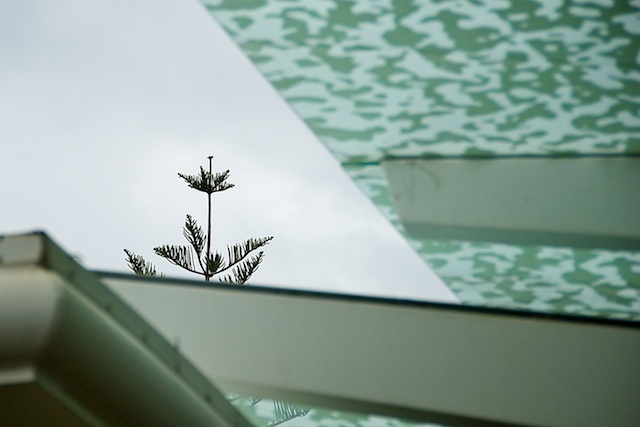 The tip of a Norfolk Pine seems to be asserting itself among the steel and glass. It reminded me a little of a weed in a pavement crack. Why doesn't it have a fairy on the top of it I wonder?